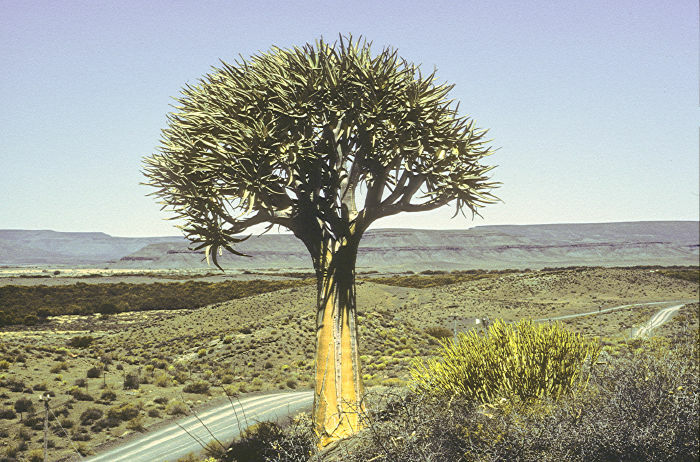 is a distinctive slow-growing tree Aloe from dry rocky areas of the Western Cape and Namibia. 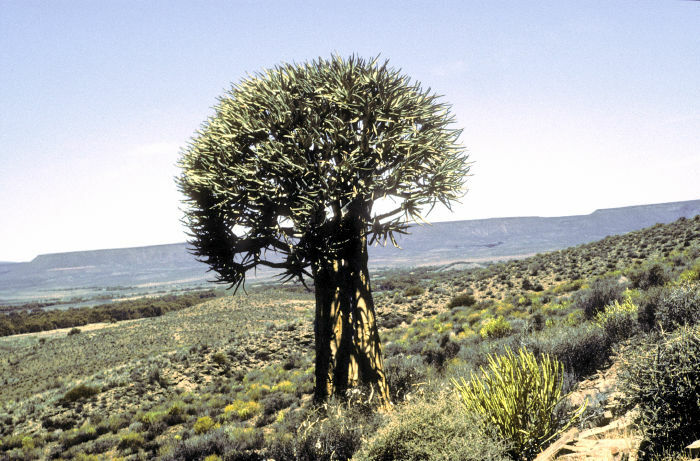 This is one of the largest species of Aloe, growing up to 30 ft tall over a few hundred years. 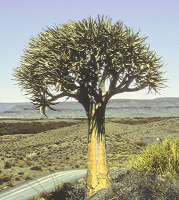 The common name refers to the traditional use of hollowed stems of this tree as quivers for arrows. 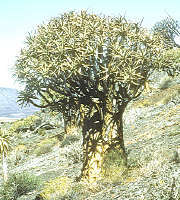 A single trunk divides into numerous branches at the top, each branch bearing a rosette of narrow grey-green succulent leaves. 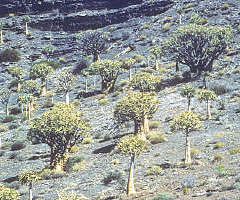 Old leaves are not retained on the smooth, but ridged trunk with sharp edges to each scale. 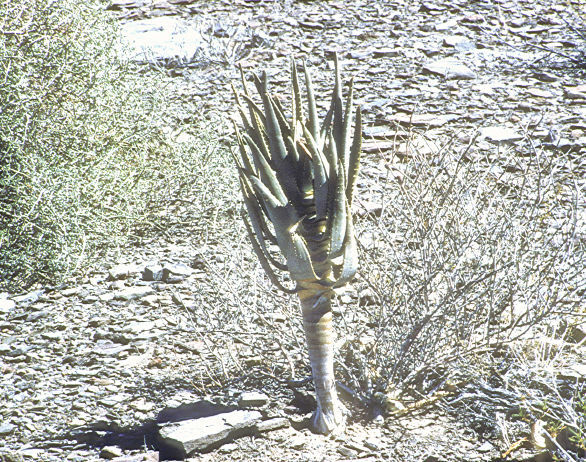 The inflorescence is divided into three to five racemes of large tubular yellow flowers. 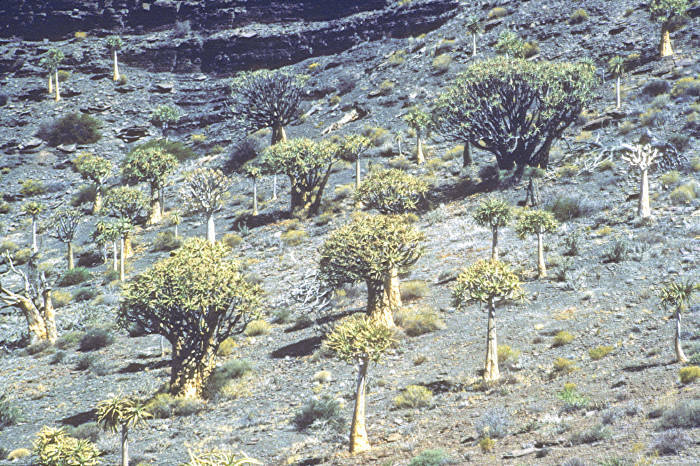 The flowers are edible with the flower buds said to have a similar flavour to asparagus. 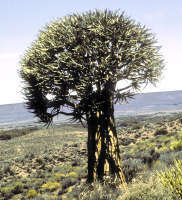 Left: In a young plant the leaves are arranged in vertical rows and only with maturity, spiral to form a rosette. 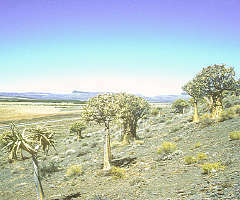 Left: North Escarpment near Nieuwoudtville, RSA. 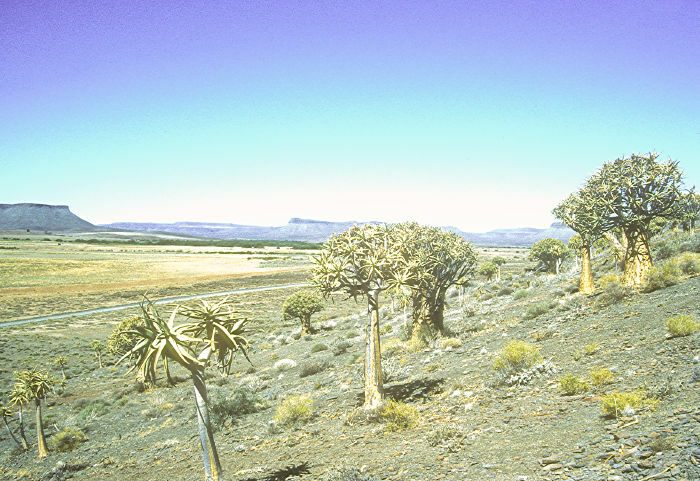 December 1998. 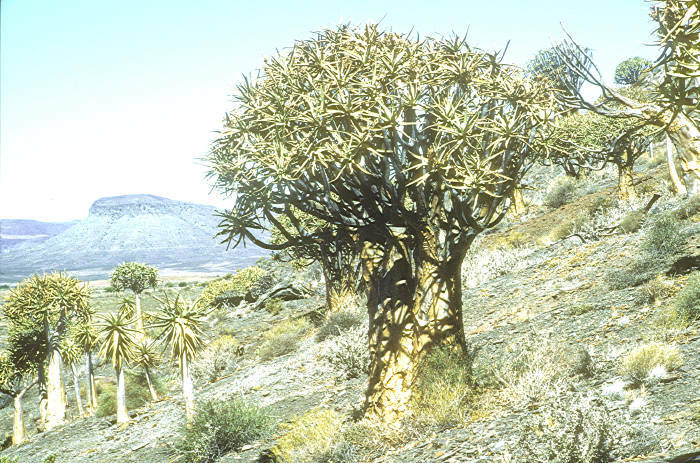 There was a large population of Aloe dichotoma in this limited area.